We are manufacturer and exporter of Decade Capacitance Boxes. 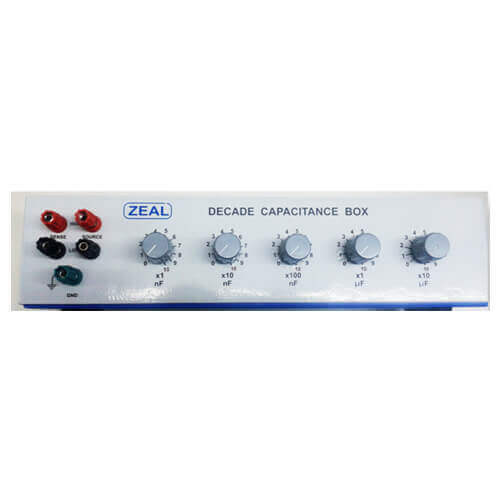 Decade Capacitance Box is designed to calibrate Capacitance Meters and Capacitance range of LCR meters. Selection of Decade switches has been done with best contacts and less residual capacitance. High accuracy and stability are the key features.